Brunchie é o projecto de Payson Broome, um músico multi-instrumentista de Phoenix, Arizona, nos EUA, que marca a sua estreia com este álbum lançado no início deste mês. 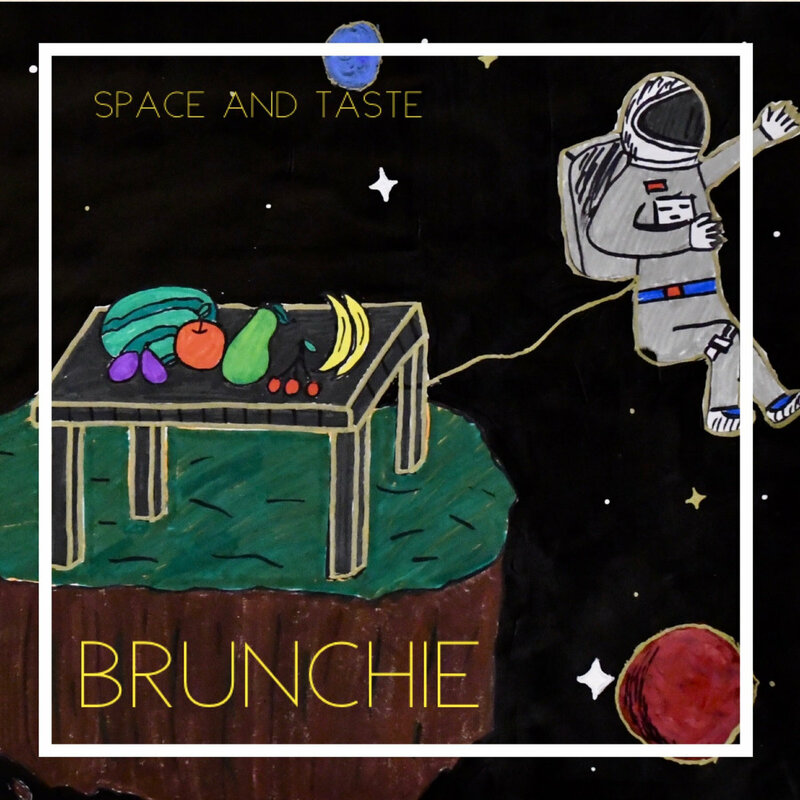 SPACE AND TASTE é um álbum que carrega a sua identidade própria, especialmente pela capacidade composicional e sensibilidade indie pop patente nos onze temas que o compõe. 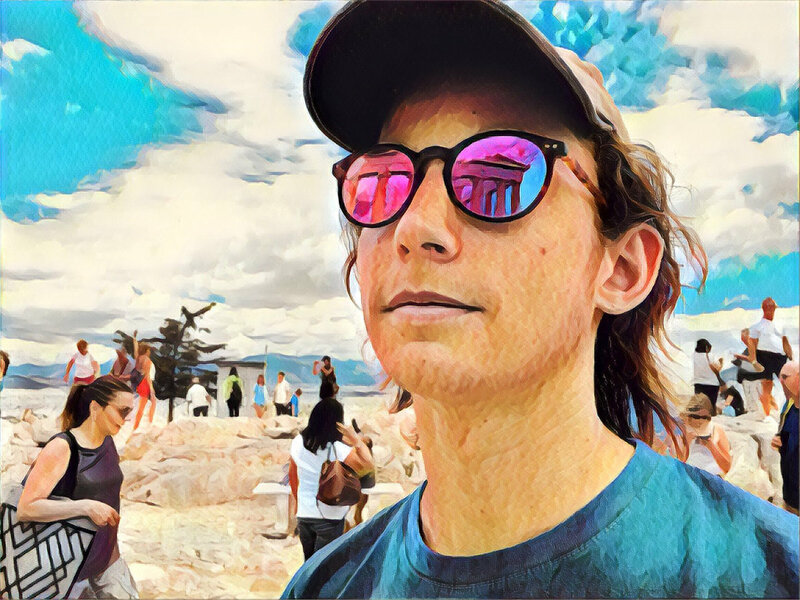 Metaforicamente pode assemelhar-se a uma road-trip narrativa imiscuída de paisagens sonoras e personagens que ganham vida na voz de Payson Broome, especialmente em STORE CLERK (com a participação vocal de Hamilton Anderson). Este tema conta uma história e embeleza a personagem central da mesma com um dueto de vozes que tem tanto de encantador como de sincero. O refrão é também bastante catchy. Essa capacidade narrativa também é demonstrada em THE OCEAN, uma narrativa aparentemente do quotidiano mas com subtextos sociais. Esta catchyness sente-se ainda mais no segundo tema, WHY? I DON’T KNOW que tem o carisma necessário para ser o single do disco. Aliás, essa sensibilidade para criar melodias fortes é sentida em todos os temas do disco. WE DANCED THE WHOLE NIGHT contém uma mistura de garage rock leve com indie pop e solos bastante cativantes de guitarra. CLOUDS AND RAINBOWS é a canção mais longa do disco e que conta com influências de um space rock bastante mellow, mudanças dentro da melodia e uma malha de guitarras com efeitos. THIRTEEN MONTHS, com uma leve inclinação de surf rock, especialmente nos riffs, traz o Verão à porta com toda a força. O disco também acarta uma certa dose de intimismo e boa disposição, especialmente no tema PUPPY!, uma canção dedicada à sua cadela, Lucy. Tem uma linha de baixo certeira e mais uma vez uma camada sonora de guitarras com efeitos. É um tema bastante engraçado e que transparece o afecto que se sente pelos melhores amigos do Homem. Também há afecto e amor no tema SERENADE, uma missiva de amor composta por pianos e guitarras em perfeita harmonia. Persiste a pureza e vitalidade do romantismo teenager com solos de guitarra bastante competentes e um bom trabalho vocal. A voz de Payson Broome encaixa perfeitamente nas melodias que compõe e é sentida imediatamente no primeiro tema, YOU’RE DOING GREAT SWEETIE, adoptando um timbre de voz confessional e intimista que está também presente em SPACE AND TASTE, o tema que dá nome em disco com uma percussão discreta, mas que suporta toda a melodia. É um disco que funde alguns sub-géneros musicais do rock numa inspirada atmosfera de indie pop e que marca a diferença na cena do indie pop mais alternativo. 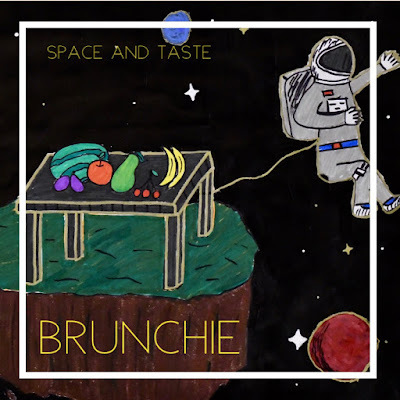 Brunchie is the musical project of Payson Broome, a multi-instrumentalist musician from Phoenix, Arizona, in the USA, that released his debut early this year. SPACE AND TASTE is a record that carries its own identity, specially because of the composicional capabilities and indie pop sensitivity that is present on the eleven songs of the record. Speaking metaphoricallyit’s like a narrativa road-trip that contains sound landscapes and characters that come to life in the voice of Payson Broome, specially in STORE CLERK (featuring Hamilton Anderson). This song tells a story and the main character is embellished by the voice duet that is both lovely and sincere. The chorus is also quite catchy. This tendency for narrative is also explored in THE OCEAN, a story that relates day to day incidentes but possesses some social subtexts. This catchyness is felt strongly on WHY? I DON’T KNOW that has the charisma to be a single. That capacity and sensitivity to create strong melodies is felt all through the record. WE DANCED THE WHOLE NIGHT with a mixture of light garage rock with indie pop and captivating guitar solos. CLOUDS AND RAINBOWS, the longest song on the record that has some slight influences of a mellow kind of space rock, unexpected changes within the melody and a texture of guitars with effects. THIRTEEN MONTHS with a light surf rock feeling specially in the riffs and that brings us the summer at our door in full force. The record has a certain dose of intimacy and good natured fun, specially in the song PUPPY!, a song dedicated to Payson Broome’s dog, Lucy. It has a on-point bass line and once again a nice texture of guitars with effects. It’s a fun song and that exhales the affection one can feel by Man’s best friend. There is also love and affection in SERENADE, a love letter of sorts that is backed up by pianos and guitars in perfect harmony. There is the purity and vitality of teenager romance. Payson Broome’s voice is perfect for the melodies and that is felt immediately on the first song, YOU’RE DOING GREAT SWEETIE, with a vocal tone that is both confessional and intimitate. That tone is also present in SPACE AND TASTE, the song that names the record and that has a discreet percussion but that helps to carry on with the melody. It’s a record that mixes some rock music sub-genres in an inspired atmosphere of indie pop and that sets the difference in the scene of the alternative indie pop.